Calorie Expenditure Standards: FIT-C is working to build standards and a certification program to support consistent measurement of calorie burn rates across all makes and models of fitness equipment. Such standards will enable more consistent results for users who use different fitness equipment for their workouts. Standardized calorie data also aligns with the needs of the healthcare and wellness community programs that rely upon trusted exercise data. Fitness Data Transport: FIT-C is working on standards that will allow for the movement of critical user and exercise data to and from an exercise machine. This work supports the notion that, in today’s highly connected world, user data needs to get to fitness equipment in order to provide custom user experiences while performance data needs to get off the machines easily and in formats that disparate other systems can utilize. FIT-C is also considering a number of other technical work streams. 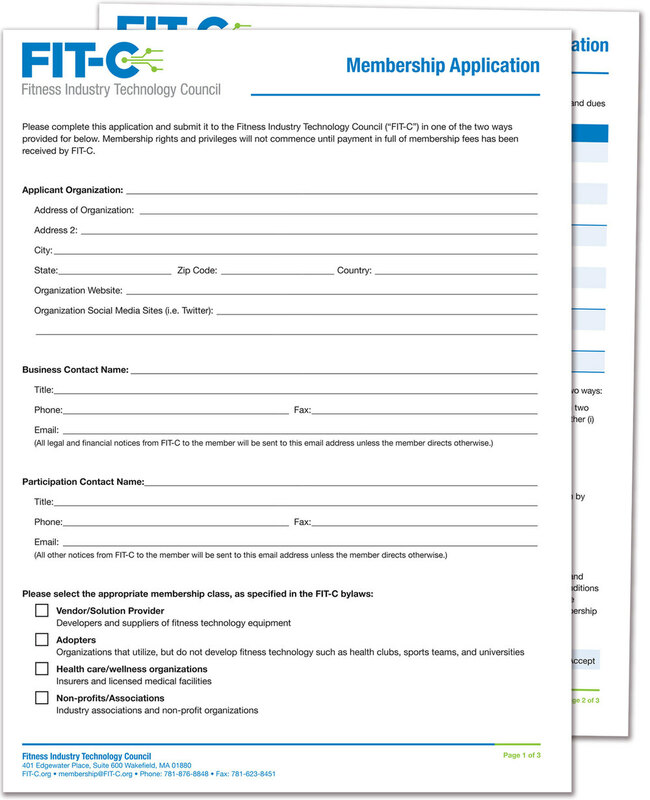 FIT-C members are encouraged to submit new work proposals at any time.